Users Can Now Send Messages to Businesses through Google Maps! Google has recently rolled out a feature whereby users can send messages to local businesses in Google Maps. The whole “sending messages to local businesses” part of it is not new, though. Google had initially brought out the concept of messaging businesses as a part of its Google My Business campaign. This took place somewhere last year. But now to get more users on board and to keep the messaging local businesses separate from messaging personal contacts, Google has rolled out messaging local businesses to Google Maps. Last year, Google initiated Google My Business which allows users to initiate convos with local businesses over the Google My Business profile. These text messages were sent and received through your normal SMS. Users now have the option of sending messages to local businesses through the Google Maps app. There will be an option to send messages at the side menu of the Google Maps app. You can then start a conversation with a local business by tapping on the ‘Message’ button present in ‘business profiles’. The whole idea behind this move is to keep user’s personal messages separate from messages to local businesses in Google Maps. The next benefit, is that Google My Business messaging feature will open up to more people across the globe. Before the Google My Business option was present only in a few countries that Google rolled it out to. With this new initiative by Google, Business will be getting a lot more messages from users or potential customers, which in turn means that they have to be aware of the bulk of messages about to be received. Business’ can also opt out of receiving messages from users by not turning on the messaging feature. It is already turned off by default anyway. But those who wish to take advantage of “Messages to Google my Business through Google Maps” feature can do so by turning on the feature in messaging, found in the Google My Business dashboard. Business engaging with customers over the messaging feature on Google Maps will also be able to get stats over time, such as number of clicks by customers on the message option, number of conversations had, total number of messages received and so forth. Business can also have a separate individual managing their Google My Business profile such as a social media manager. Such persons have to be designated as a manger under the Google My Business listing in order to interact with users or customers over the Google My Business messaging service on Google Maps. 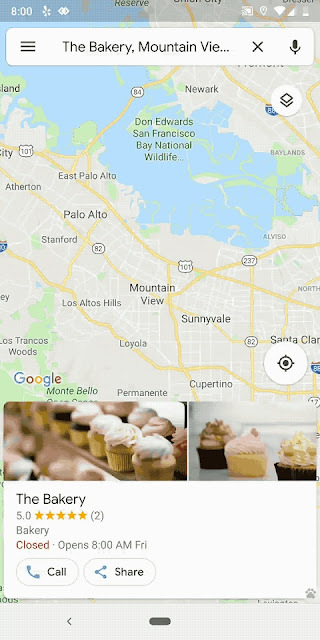 Initiating messaging with local businesses through Google My Business on Google Maps also has the added advantage of users contacting businesses when they search for a business in Google Maps. So users can now simultaneously search for business on local maps and make enquiries of them at the same time.